For some reason, it seems that streaming music is the new hotness in the world of tech firm acquisitions. 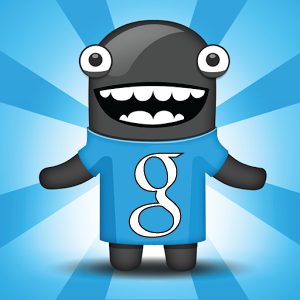 Today, the New York Post reports that Google is eyeing the acquisition of Songza. Songza is a popular music curating and streaming service that, with five and a half million active users, is nothing to sneeze at. The Android app is currently in the 1 million - 5 million download range, with almost 60,000 ratings. The service does a pretty great job of figuring out what music you want to hear, basing choices not just on your listening habits, but by the activity you're doing or how you're feeling. Users can choose highly specialized music sets for "a weekday dance party" or "taking the day off," for instance. The service also offers playlists "handmade by music experts. Curating music is something that Google's own burgeoning streaming service, Play Music, has historically struggled with to some degree. It seems reasonable, then, to assume there's some kernel of truth in today's report from the New York Post that Google wants to buy Songza for $15 million (that's 0.015 Instagrams). Whether Songza will accept the offer is still up in the air. Both sides have of course declined to comment on whether the talks are even taking place, so this still falls into rumor territory, but the acquisition would certainly make sense. Google Play Music's "radio" curation could use a kick in the pants, and adding functionality that would bring it into line with other services (like Beats with its existing sentence-based playlist creation) couldn't hurt.